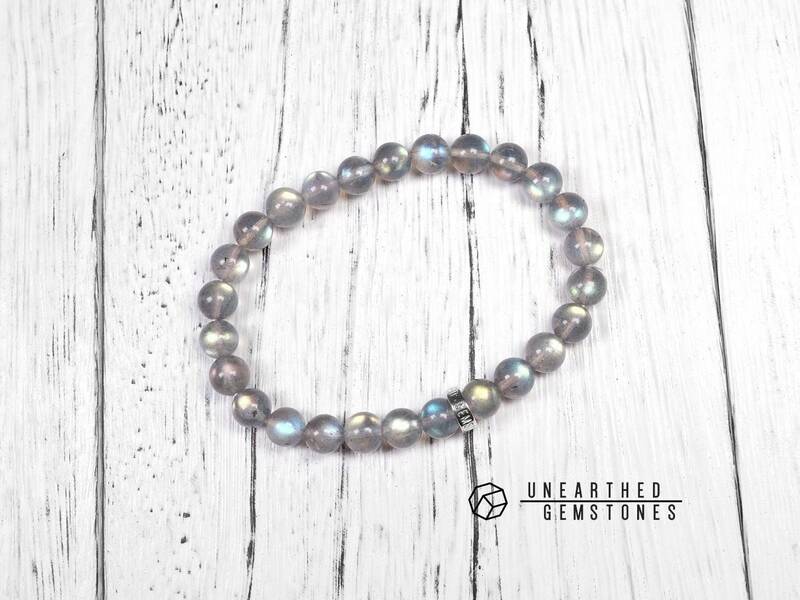 This labradorite stones we use are natural and genuine. 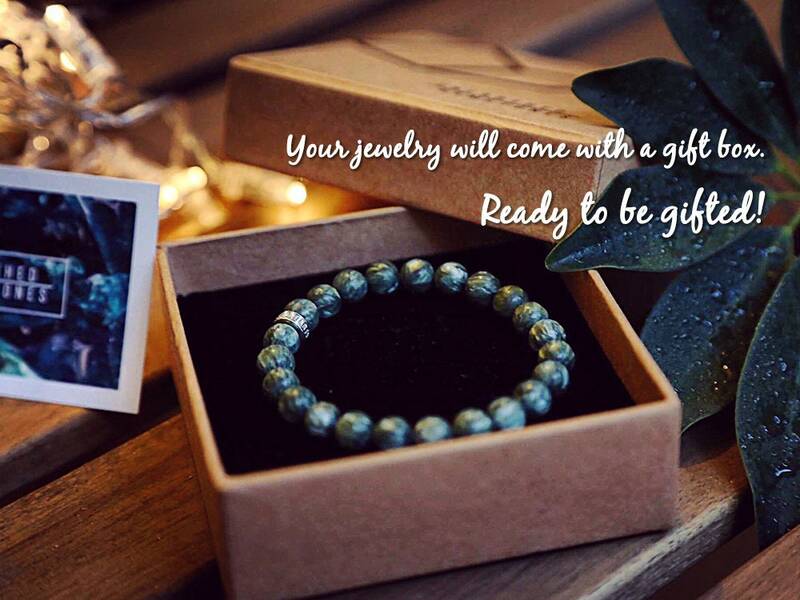 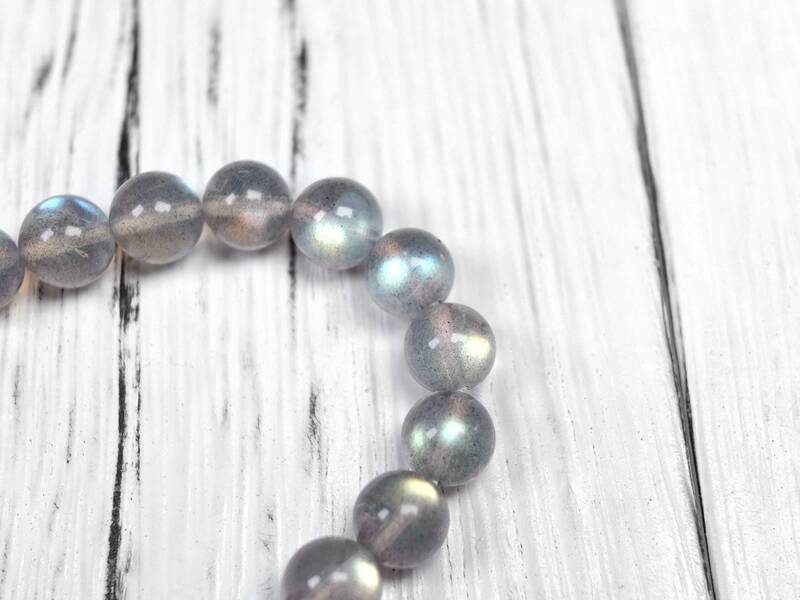 Labradorite has a special property known as the "schiller" effect, which is the light spots you see on the stones. 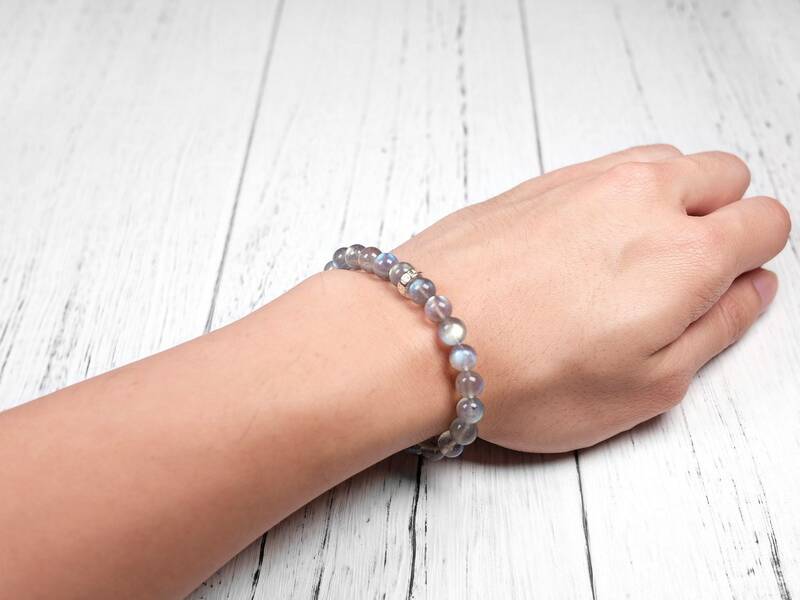 These light reflections will move when viewing from different angles, making it a fun bracelet to wear on your wrist. 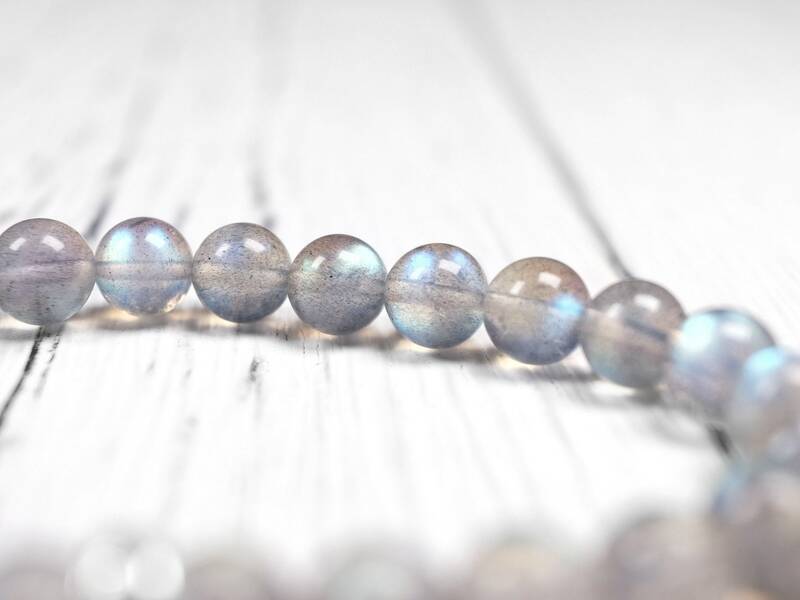 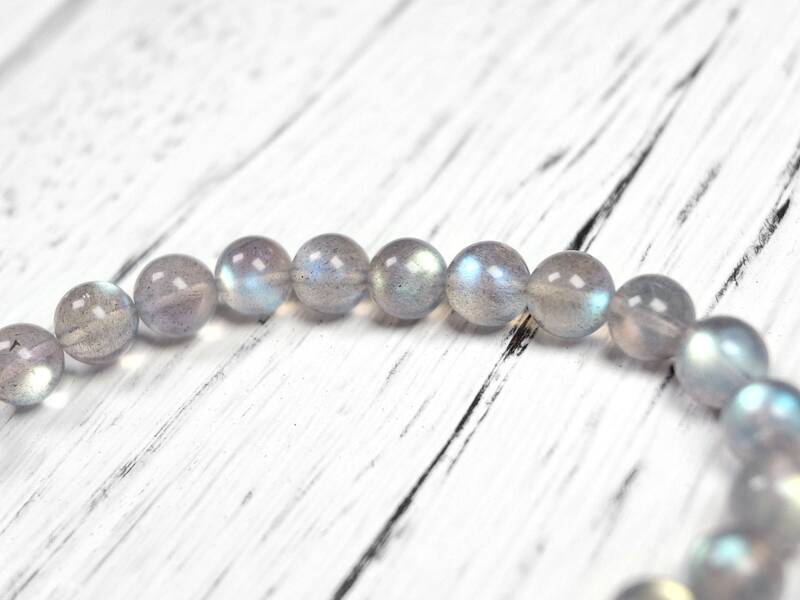 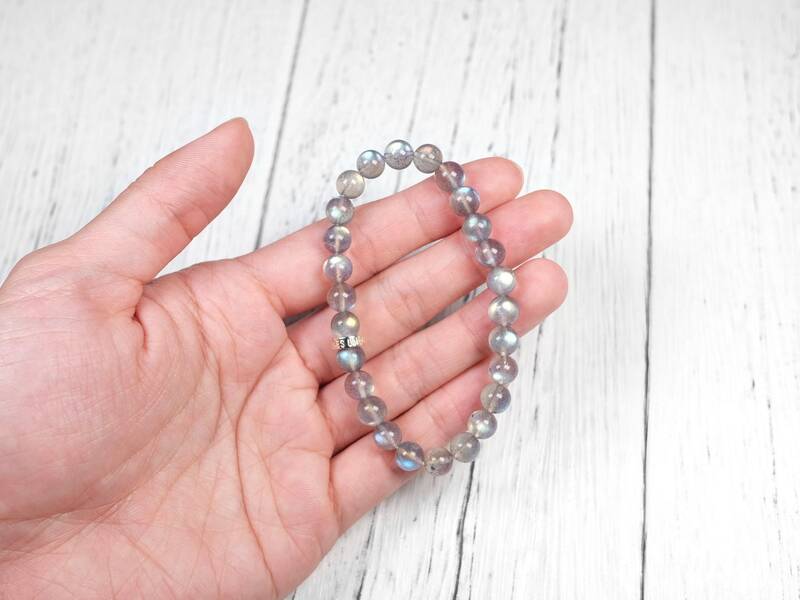 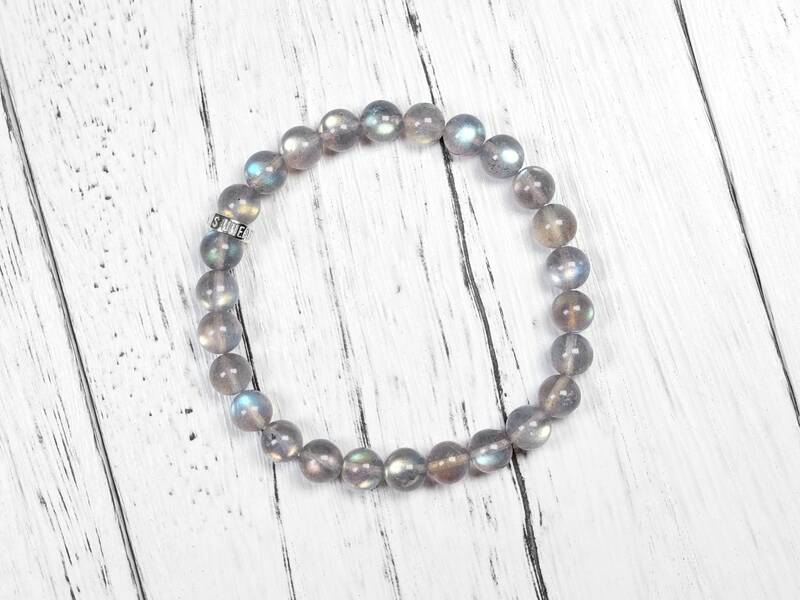 This natural and genuine labradorite has strong colorful flash in the beads. 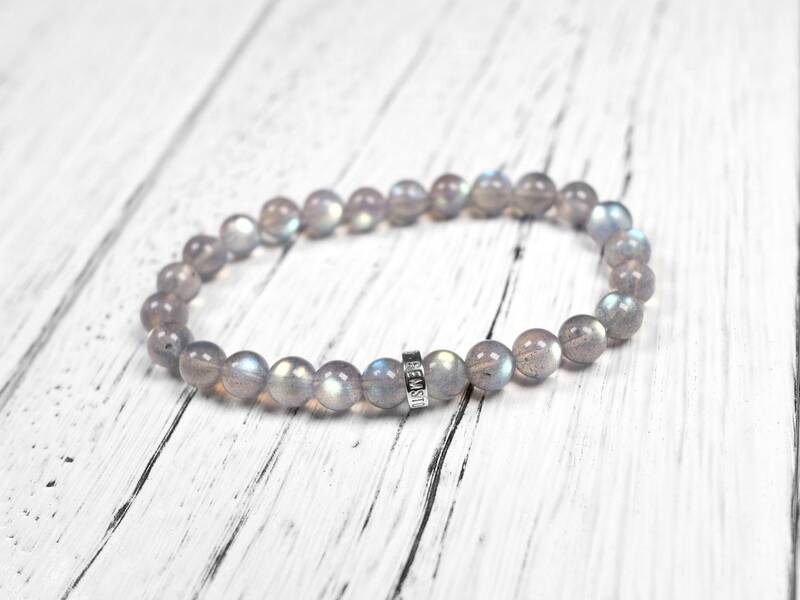 The crystals are translucent with only very little natural inclusions. 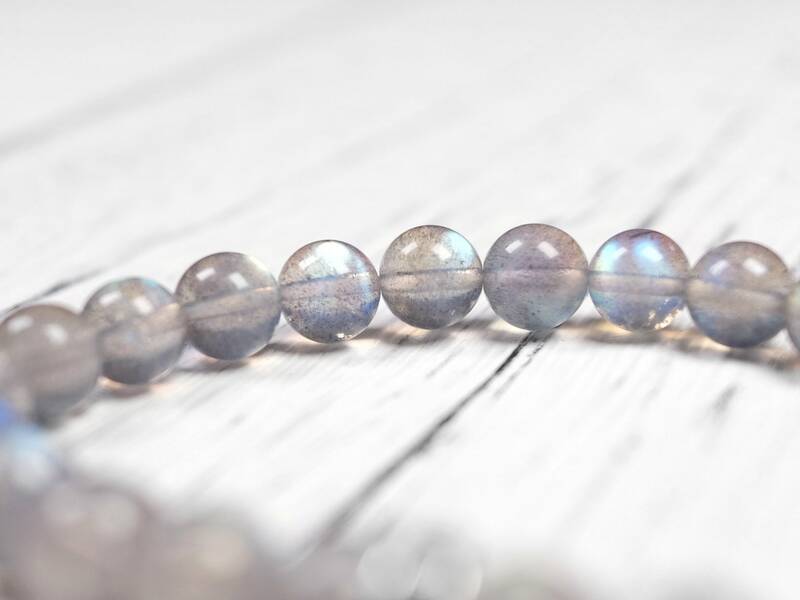 Overall great quality labradorite with lively light flashes.